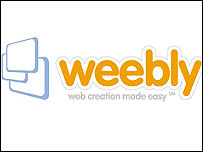 This year the 5th grade class will be creating a class website using Weebly. Each student will start by practicing on their own personal website. Don't say anything on the Internet that you wouldn't say directly to the person. Click here to login to Weebly. Get login information from your teacher. Click here to see the new vocabulary for each week. Click here to see the new skills for each week. For the personal websites, the students will be graded on their attitude and creativity. I want them to explore the features and experiment, experiment, experiment!